After watching the season 3 finale of Primeval last week and realizing the series continues to have plot holes large enough to drive a whole… planet through, I decided I needed to exercise my brain a bit more. So this week during my morning workout routine I’ve been cleaning off the DVR and watching programs I’ve recorded over the past few years thinking “hmm that sounds like something I might want to watch some day.” It’s good to remember that TV can actually be a thought provoking medium – especially at a time when it seems like every good new fictional drama or comedy gets almost as soon as it airs. I started off the week with an Independent Lens documentary looking at class differences in modern day India. The filmmaker turns on the maid that has been working in her house for the past 5 years and in the process discovers a lot about her employee and herself and gains a complicated friendship in the process. Filmmakers document the plight of child workers around the globe — including underage workers on American farms. It’s not just a third world problem. Two lawyers take cameras into a Mexican prison and courtroom to follow the uphill battle of an inmate to prove his innocence in a murder case — despite a complete lack of physical evidence. There’s a happy ending to this story, if you count spending more than 2 years in prison before being freed happy, but it appears happy ending are the exception rather than the rule. 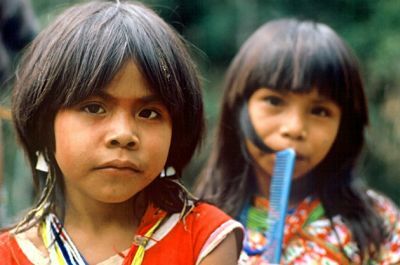 A filmmaker who visited villagers in the Amazon 15 years earlier returns and finds the land, the people, and the way of life largely changed. It’s remarkable how quickly things can change. The repercussions of deforestation are many, but this story takes a look at the human toll. Philadelphia businessman and occasional political candidate Sam Katz backed this series looking at Philadelphia’s history. The pilot episode aired a while ago, looking at Philadelphia in the 1860s and 1870s. It has a Ken Burns-style documentary feel, but it feels a little disjointed, like the producers are trying to cram as much information as they can into each 25 minute episode rather than telling stories with complete narrative threads.